It is that time again for a lot of peoples birthdays. Once again it is going to happen at First Avenue in the VIP room. I hope to see a lot of you here as the whole night will be fun and dance infused. Word yo! 2-4-1s on rails and domestics until midnight. 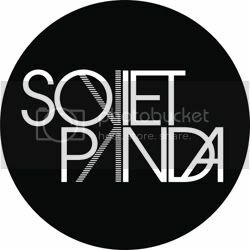 SOVIETPANDA is going to close out the night with a DJ set. It will be like Too Much Love in the VIP room again. Then tomorrow is the biggest Too Much Love of the year yet. The Moon Goons and I are bringing in the Friday resident DJs from New York's Club 205 for disco-fueled madness. There are going to be a bunch of surprises, so don't miss out. If you don't know the DJs (and you should) check out their MySpaces. Tell all your friends and be there at 10 sharp so you catch everyone!